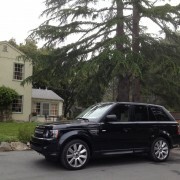 The Range Rover Sport is a driver’s vehicle. It handles like a sports sedan, has the room of a utility vehicle and can go offroad whenever called upon. The balance of handling vs. comfort vs. offroad ability is optimized like never before. 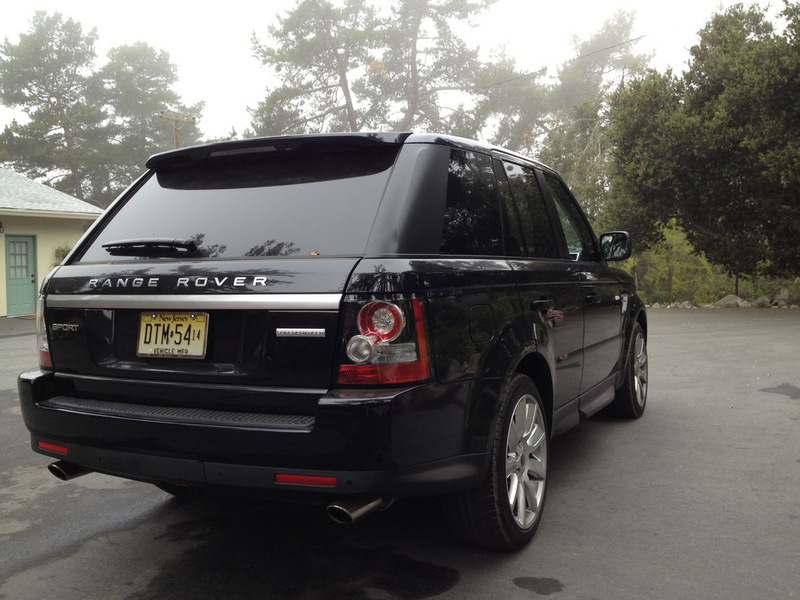 Often, a driver has to pick just one but in the Range Rover Sport, all three are optimized. The family cruise in opulent comfort on the open highway, carve up the mountain roads and roll with confidence on harshest winter roads by the ski lodge. This attractive and roomy vehicle will handle your shortest trip or any excursion in stride. 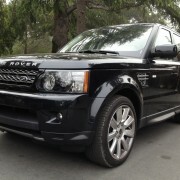 Base price: $60,500 (HSE; estimated). 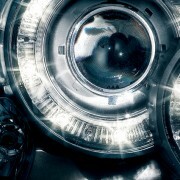 As tested $68,500 (estimated). Engine: 5.0 liter V-8; 375 hp and 375 lbs-ft. of torque (w/o supercharger; 510 hp and 461 lbs. ft w/supercharger). 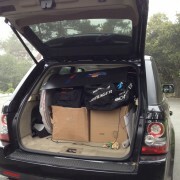 Luggage capacity: 33.8 cubic feet. EPA fuel economy: 13 city/18 highway. Where assembled: Solihull, United Kingdom. • About half the price of a Benz Gelandewagen (the only other SUV that can compete with in curb appeal and off road prowess). Supercharged version is $30k less than a Porsche Cayenne Turbo. • No 33 MPG diesel versions for the US this year. We get 13 MPG. 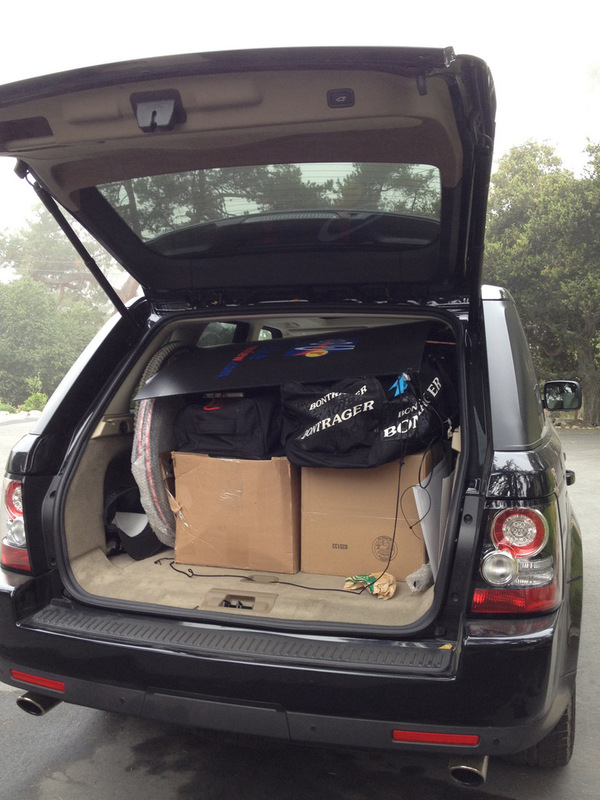 • Folding rear seats have to be done in two stages to get them flat. 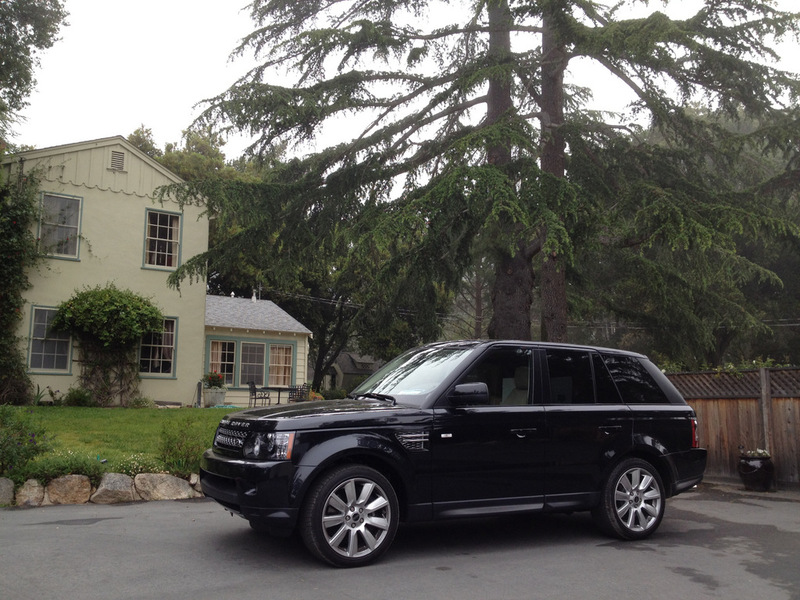 Based on the unibody-hybrid platform as the larger Land Rover LR4 the Range Rover Sport is a vehicle that sits more like a sports wagon than an off-road adventure vehicle. 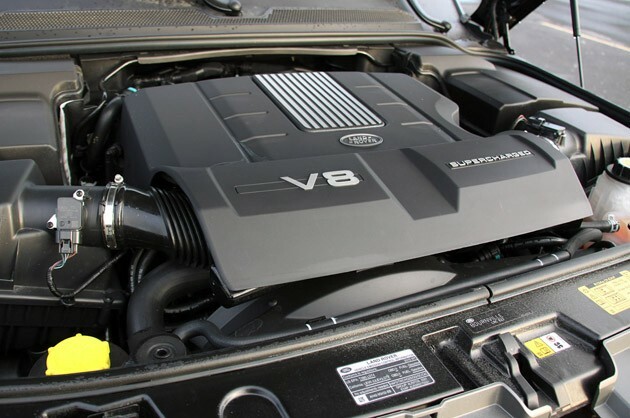 It comes outfitted with either a naturally-aspirated 4.4-liter V-8 engine or a supercharged 4.2-liter V-8 that was shared with the Jaguar XF and XJ for a time. 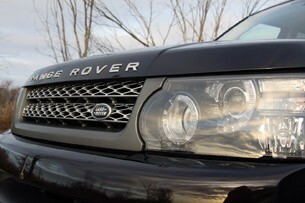 Both versions offered a six-speed automatic transmission and a sophisticated all-wheel drive drivetrain and off-road-worthy suspension The “Terrain Response” system allowed drivers to select a four-wheel-drive mode based on conditions like snow, sand, or pavement, and tailored the Sport’s traction and stability control to match. In summary, this machine has a monster motor with 510 hp, an air-controlled suspension that can make 500 adjustments per second and an all-wheel drive system that has a brain trained by scientists. Weight is hefty at 5900 lbs and fuel economy is unispired, at 12/17 mpg for the fastest Sport, but handling is as brilliant as many luxury sedans–the equal of BMW’s fine-handling X6–and off-road capability is as strong as necessary in such an expensive, attractive vehicle. The Dynamic mode brings new quickness to the steering and throttle, too. Something quite shocking is that this off-road capable beast is faster, more agile and corners just as hard as my Mini Cooper S. It sounds better too as mashing the accelerator down releases this guttural, throaty, rumble that make any muscle car fan jealous. It is then followed by a force similar to a jet airliner taking off. One knows it’s not good for the mpg average but it’s one of the most satisfying thrills to be had. So here we have a vehicle that bucks the trend of smaller engines and green, blue, mpg hypermiling. 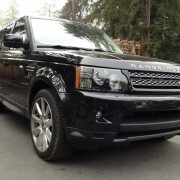 This is a Range Rover that sticks to its core values of styling, luxury, performance both on asphalt and off-road. It’s an all-out adventure car and rather than get the mileage 20 21 mpg, this vehicle just tells you to get a second commuter car. The biggest aspect of the Sport’s refresh is a pair of completely new powertrains, and we were lucky enough to get the direct injected, supercharged 5.0-liter mill under the bonnet of our tester. With 510 horsepower and 461 pound-feet of thrust, our tester felt more like a supersized sportwagon than a massive SUV. Land Rover claims a 0-60 mph time of 5.9 seconds, and after one stab at the throttle, we can attest to the accuracy of that time. The Eaton-sourced twin-vortex supercharger is 16 percent more efficient than the booster it replaces, giving the RR Sport another 135 ponies (versus the naturally aspirated model) while still passing ULEV2 emissions regulations. The new engines figure to be more reliable, too, and they carry 15,000-mile service intervals, effectively doubling the amount of regal mud bogging between dealer visits. Land Rover went to ZF for its newest transmission, and the HP28 six-speed unit is a very smooth operator. 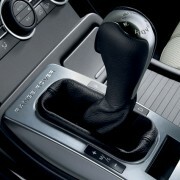 Paddle-shifters were on-hand, but we had no desire to use them more than once thanks to the engine’s surplus of torque. 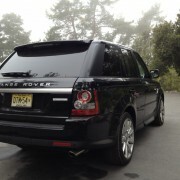 And just because the RR Sport weighs in at nearly three tons doesn’t mean that Land Rover has built a sloppy cornerer. LR hasn’t obliterated any longstanding laws of physics, but by adding adaptive vehicle dynamics, it’s helped bend some rules. The Landie’s DampTronic valve tech monitors and optimizes damper pressure 500 times per second, helping even first-time drivers feel confident and controlled behind the wheel. Steering feel has also been improved by stiffening the front suspension’s lower arm bushings. While we certainly couldn’t verify Land Rover’s claim of 500x per second damping pressure monitoring, we can tell you that the sporty Range Rover feels very surefooted in a wide variety of driving conditions and during aggressive driving. We were pleasantly surprised at how flat this beast is under hard cornering – it’s like Land Rover built a tank that was specifically designed for slaloms. Actually, tank-like is a great way to describe the feeling we got when behind the wheel, but not in a laboring, trench warfare way. More like, this is as close as the English could come to duplicating the Abrams Tank while still retaining the driving dynamics of a vehicle much smaller than it really is. The steering is nicely weighted and has some level of feedback, though it won’t be confused with a Porsche Cayenne any time soon. 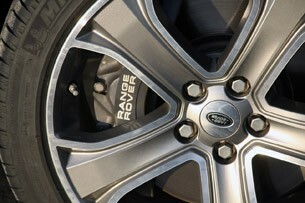 The Range Rover’s five spoke, 20-inch wheels fill out the wells just fine, and the 14.2-inch ventilated rotors up front and 13.8-inch stoppers at the rear provide enough fade-free stopping power to keep your Land Rover from dancing with bumpers or boulders. The Land Rover Sport may have the heart of an on-road athlete, but it is constructed to excel off-road even more than it does on pavement. 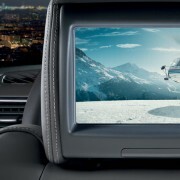 Every Range Rover Sport comes with Land Rover’s Terrain Response system; a dial with six settings for varying driving conditions. The driver can select from settings including general driving, sand (new for 2010), rock crawl, mud and ruts, and grass/gravel/snow. The other all-new setting, which is only available on the supercharged model, is Dynamic Program, which tightens steering and body control while also reconfiguring the stability control system for snappier responses. 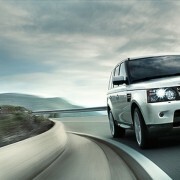 Select this option and Land Rover promises that you’ll enjoy a more athletic on-road driving experience. We found Dynamic Program to have improved steering and throttle response, but a single performance-inspired setting does not a 3 Series-fighter make. 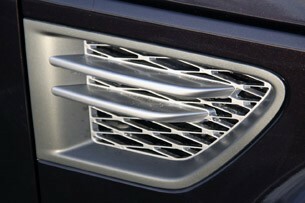 It does, however, result in a confident-handling luxury SUV. Our favorite setting was the winter detent, because Southeast Michigan received about two inches of snow right when we took delivery of our tester. While the settings didn’t cut out sliding and slipping altogether, it did a fantastic job of keeping us on the straight and narrow. 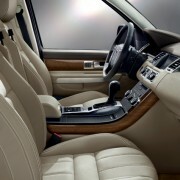 A veritable house of luxury, the Range Rover Sport offers about as much pampered refinement as we can imagine. Top notch materials wrap every surface, including the fine leather on the captain’s chairs. Sheen-free-finish wood trim looks like it could have come out of the library in a castle in rural England. In short, this is an exceedingly comfortable place to whittle away the miles. The 2010 refresh brought with it a much more upscale design than before, although the Sport still remains a little surprisingly low on luxuries. Don’t go looking for goodies like ventilated seats or a power liftgate, but at least the atmosphere is top notch. At least there is a rockin’ Harman/Kardon audio system, an intuitive trip computer and, of course, those acres and acres of fragrant leather. Too bad the navigation and infotainment is clunky and dated, with a map that proved rather outdated both in its design and its recognition of streets we didn’t even think were that new. 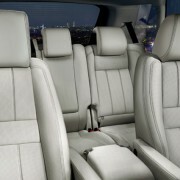 Rear seat passengers get plenty of leg room with easy ingress and egress thanks to the height-adjustable air suspension. The slab-sided body offers up no shortage of cargo space behind row two. We especially like the rugged-feeling loop carpet, which serves as a pleasant reminder of the Sport’s history. 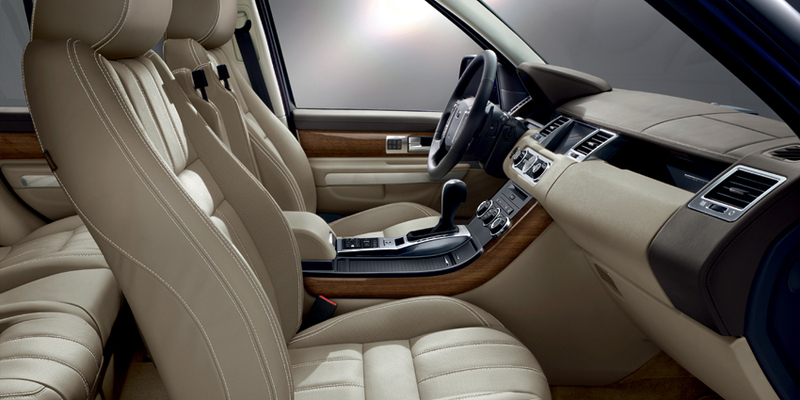 Land Rovers are known for their brawny mountain-climbing abilities, and Range Rovers are known for their sumptuous interiors. 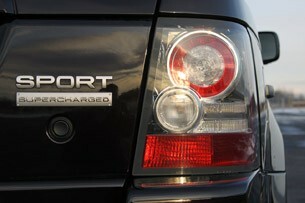 The Range Rover Sport combines both qualities with fun driving dynamics. Though it’s not quite as capable over hill and dale as the Land Rover LR4, test drivers say the Range Rover Sport is plenty capable of fulfilling most of the tasks that Range Rover buyers will ask of it. 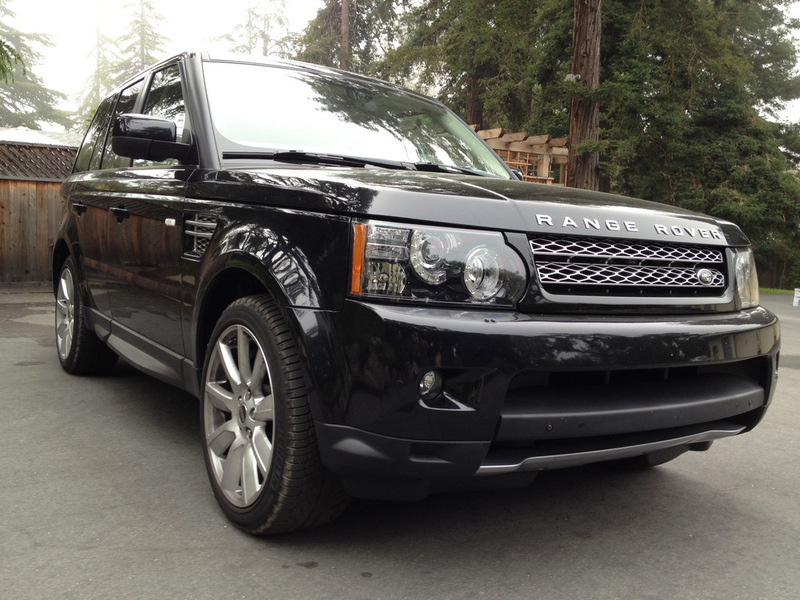 This Range Rover is an athlete and it will play on all surfaces. It is the one car that satisfy you in all conditions and adventures. It doesn’t pretend to be eco-anything though so get that second commuter car and use this one for all the great adventures.